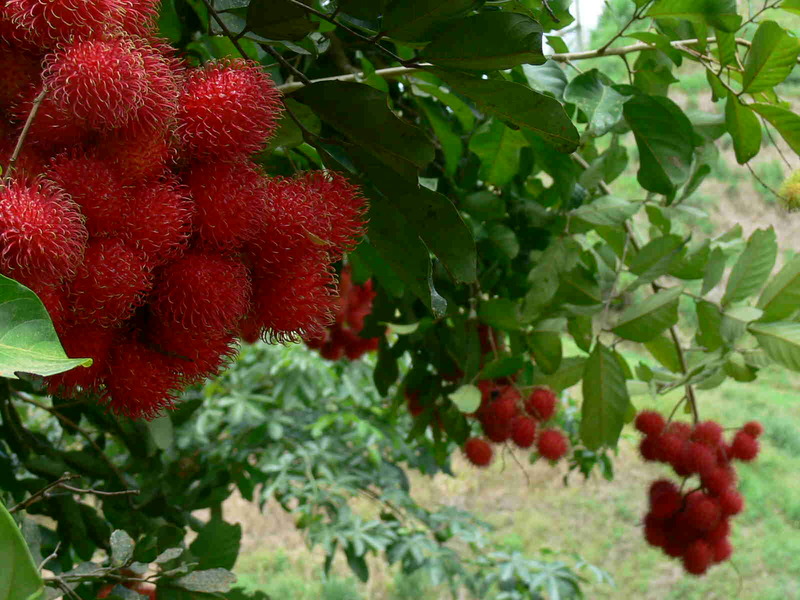 Welcome to my website about Nephelium lappaceum, otherwise known as the Rambutan! 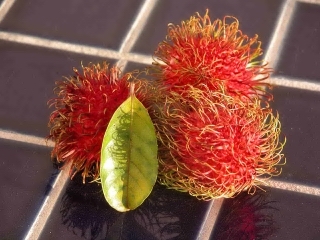 Here I will provide you with a plethora of information on the peculiar looking yet very tasty rambutan. Feel free to take a look at the rest of my website to find out more interesting information about the rambutan. I hope you enjoy my website and learn something new about this amazing fruit. The rambutan gets its name from the Malay word for “hair,” which refers to the spine-like protrusions that extend off of the fruit. It is native to west Malaysia and the island of Sumatra in Indonesia but now can be found grown in Australia, the Philippines, Sri Lanka, India, New Guinea, tropical Africa and Hawaii. If you have any questions, feel free to contact me by visiting the Contact Me section of this website. If you are interested in learning about other organisms, take a look at multipleorganisms.net. There you can find a variety of other websites on plants, animals, bacteria, fungi, etc. that my fellow classmates at the University of Wisconsin La Crosse have created. Click here to continue to Classification.